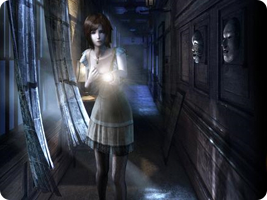 This survival horror series by Tecmo Koei Games originally began life on the Playstation 2 and Xbox. However, in a landmark publishing deal, Nintendo is now the publisher and co-owner of all new games produced in the franchise. Enter haunted ruins, armed with the Camera Obscura, a camera that can fend off the spirits of the dead.